The Dublin Devils Football Club are fully committed to the fight against Racism and Homophobia in Football and have taken part in many initiatives to further these causes. 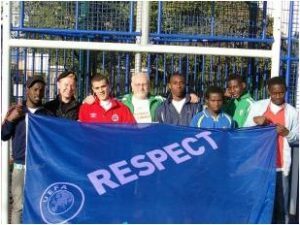 We’re active members of both Football Against Racism (FARE) and Sport Against Racism Ireland (SARI). We also play as an openly gay team against numerous teams in competitive 11-aside & 6-aside Astro Leagues. We’re proud of who we are and set an example of tolerance & diversity.